As you land in Sydney airport, the window view makes you realise straight away why it’s one of the world’s best cities. 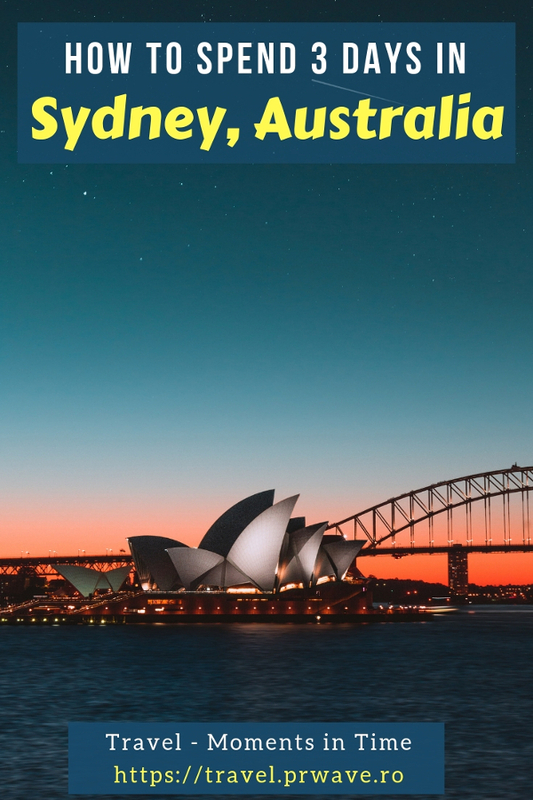 Sydney is on any Australia bucket list, whether you’re in the country for a few days or a backpacker planning a road trip along the East Coast. This itinerary will take you through the best things to do during three days in Sydney. 3 days in Sydney isn’t long, so go straight away to where you will catch the best views. If you have the budget, climb Sydney Harbour Bridge. Otherwise, stop at the first pylon on the right as you leave the city behind you. You can learn more about how the bridge was built in the museum as you make your way to the top. Be ready to be impressed as you reach the Pylon Lookout. Continue enjoying the views while having lunch on the rooftop of the Museum of Contemporary Art, before visiting the Opera House, one of the most famous Sydney tourist attractions. You’ll learn a lot about the architecture and the history of the Opera during the guided visit. If you’re lucky, you’ll even get a sneak peek at a show rehearsal. If you have the opportunity to see a live opera or musical in the evening, there’s no better way to experience it. But it’s not for all budget, and you need to get the timing right. Finish your afternoon by exploring the Botanic Garden. The view from Macquarie Chair is phenomenal. Try to get there for sunset and watch the lights turning on. If you’re not tired of Sydney Harbour views yet, head to Sydney Café in the CBD for dinner. The first British boats to arrive in Australia chose to settle in Sydney. 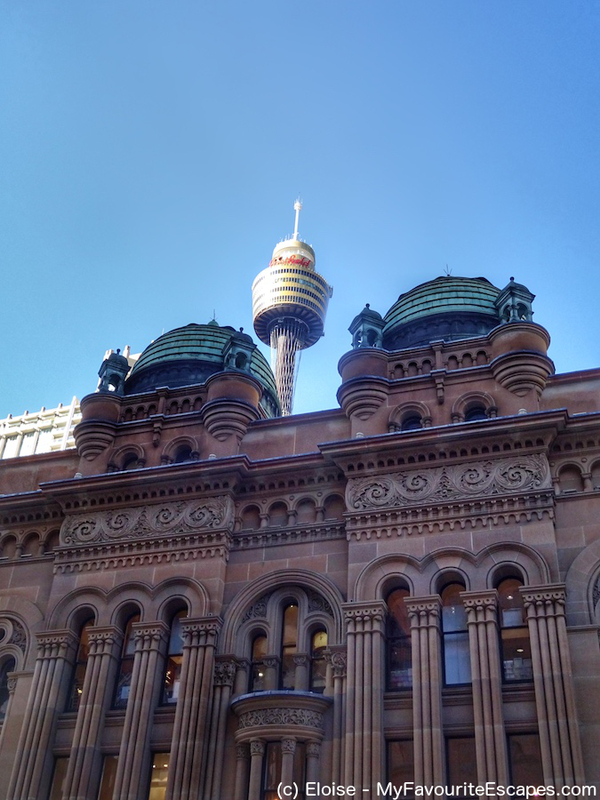 Hence, it’s a perfect place to learn more about Australian history and one of the best Sydney attractions. Start your day at The Rocks, just next to the Harbour Bridge. The Discovery Museum opens at 10am. The warehouse from 1850s hosts exhibitions that were developed in consultation with Aboriginal people. You’ll find out more about the area before the Europeans arrived, and how the colonisation happened. During your visit to The Rocks, find a moment to make a detour to the Observatory Hill Park to check out the views of the Harbour Bridge. Next on this Sydney itinerary is the lunch at the Glenmore Hotel before moving on to your next destination. Still wondering what to do in Sydney, Australia? In the afternoon, walk across the CBD. You will see a few old buildings mixing with the modern skyscrapers. The most impressive one is the Queen Victoria Building (QVB) (one of the most wonderful Sydney points of interest) with its remarkable domes and statues from the late 19th century. It’s one of the most beautiful shopping centres in the world. 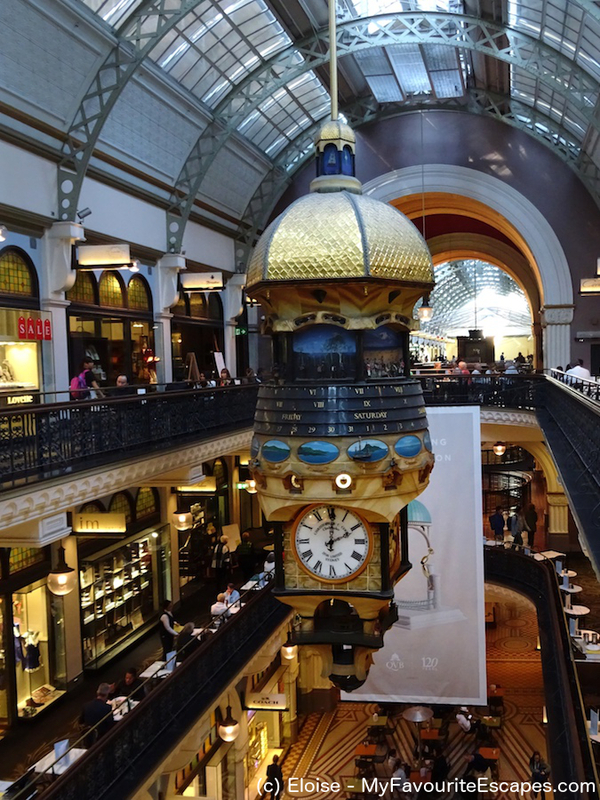 Along the prestigious shops and the cafes, visitors can admire the splendid architecture, the stained glass windows, and the Great Australian Clock. Historians and indigenous people worked on this massive clock together to tell the History of Australia through both the Europeans and the Aboriginals’ point of views. From the QVB, walk to Darling Harbour. As you walk across the Pyrmont Bridge, notice how it can move to let tall boats pass. It’s one of the world’s oldest swingspan bridges still operating. If you plan to visit Sydney, this is a must see here. 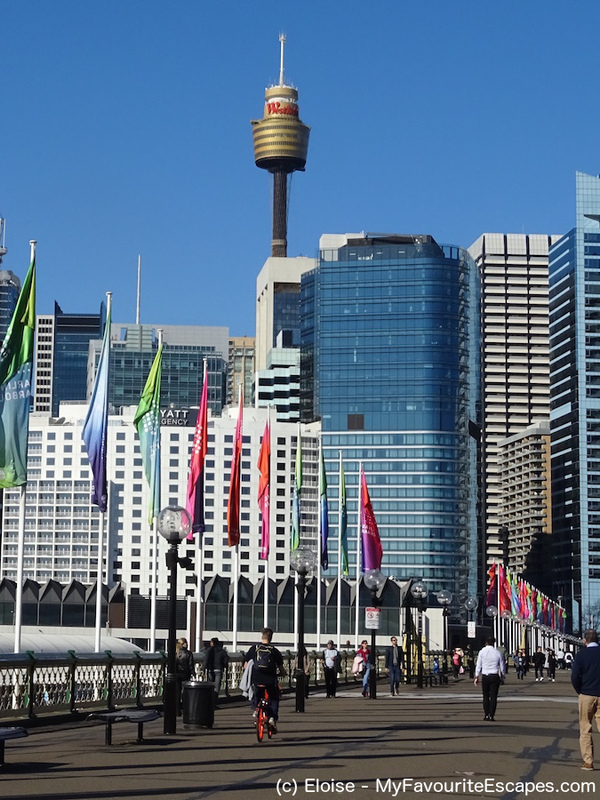 From up there, you’ll get the best view of Darling Harbour and all the activities it offers: Sydney Aquarium, the Maritime Museum, the small Zoo, the restaurants and bars along the wharves and a bit further the Chinese Garden and Chinatown. 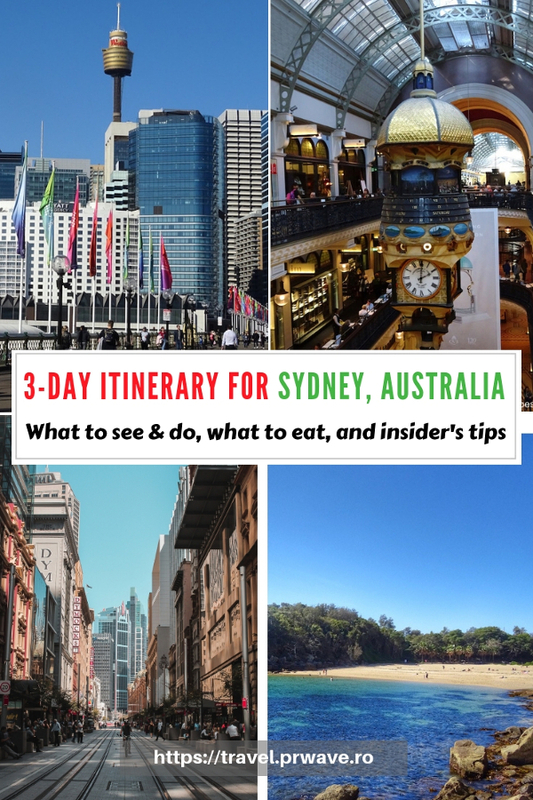 As you only have three days in Sydney, you won’t be able to do them all so you’ll need to choose one from the list. If you are visiting during a weekend, you are likely to see fireworks at Darling Harbour. The restaurants and bars are more reputed for the views than the food, although it’s not that bad. The Malaya is a safe choice. If you are travelling on a budget in Sydney, you will find cheaper options in Chinatown not too far away. Finish your evening with a drink at the 360 bar, at the top of the Sydney Tower Eye. For your third day in Sydney, you’ll leave the city behind to enjoy a different facet of the harbour: the beach. Board the Manly ferry on Wharf 3 at Circular Quay and enjoy the views of the harbour from the water. 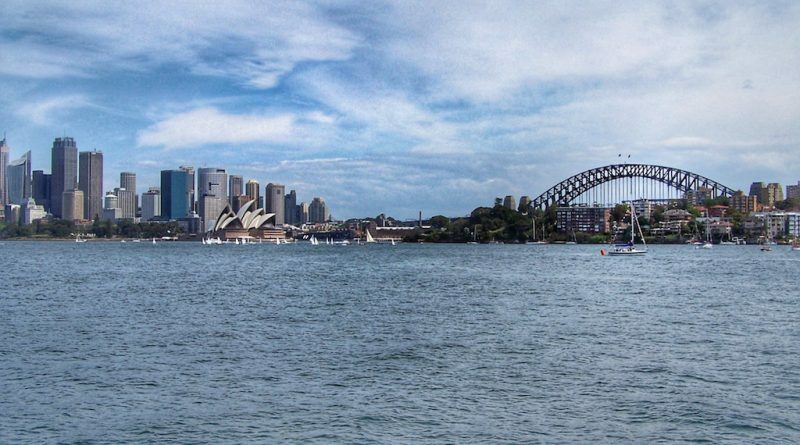 Sydneysiders may have the most scenic public transport line in the world. And it’s not only about the city views: you will also get to see the end of Sydney Harbour and the start of the ocean. The city feels already far away as you disembark at Manly Wharf just 30 minutes later. If you haven’t had a chance to spot beautiful birds yet in Australia, follow the path on the left as you exit the ferry. 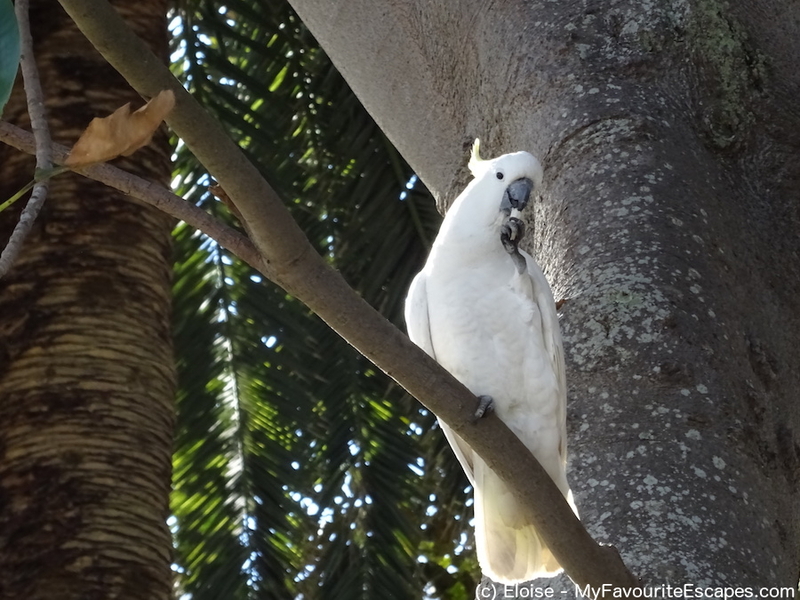 Cockatoos often hang out on the grass patch at the end of the small beach. Penguins also visit that beach, but they are shy, and only the luckiest visitors will get to see them. With a beach on the calm bay on one side and the waves of the ocean on the other, it’s hard not to be pleased in Manly. The pedestrian street “The Corso” links both sides. You’ll get a first taste of the Australian beach cliché with all the shop selling surf clothes. Many surf champions learned their passion at Manly Beach. If you feel like following their steps as you reach the ocean, go left towards the north point, Queenscliff. You will find a couple of shops to rent a surfboard or take a surf lesson. In the opposite direction, you can follow an easy path from Manly Surf Lifesaving Club to Shelley Beach. Make this next place to see from this Sydney travel plan. If it’s not too busy, you may share the road with a water dragon as they are often spotted in this area. 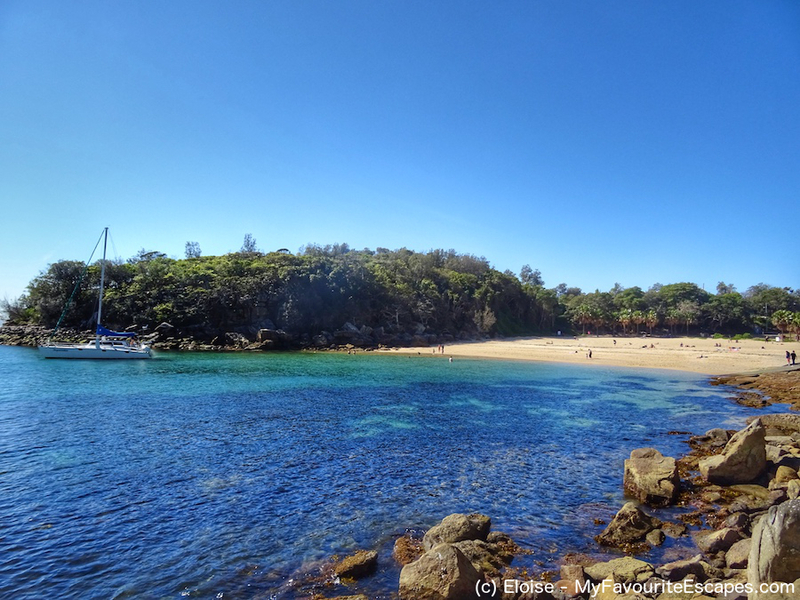 You will walk along the Cabbage Tree Bay Aquatic Reserve, which is reputed for snorkelling. The beautiful (and harmless) Port Jackson sharks and cuttlefish sometimes hang around the many fish, including stunning blue groupers. If you are keen for scuba diving, you may get a chance to spot the incredible weedy seadragons who also frequent the area. You will need to organise your dive in advance though. If you are keen to walk a bit further, there are a couple of lookouts just after the beach. If you want to have lunch there, the Boathouse will be your only choice. Kookaburras, the iconic Australian birds, often watch their customers. But if you can eat back at the Corso, you will find a lot more options for lunch. Right opposite Manly Beach, Hemingway’s serves delicious French food. You will have to aim well your way back to Sydney City according to the season. The idea is to leave Manly Wharf just before sunset, so you see the splendid colours of the magic hour from the ferry as you arrive near the Opera House and the Harbour Bridge. There is no better way to end your three days in Sydney. As you can see, there are many wonderful places to see in Sydney. Use this 3-day itinerary for Sydney to plan your trip to Sydney, Australia. While Sydney has a lot to offer, even a short visit can give you the chance to discover the best of what Sydney has to offer. 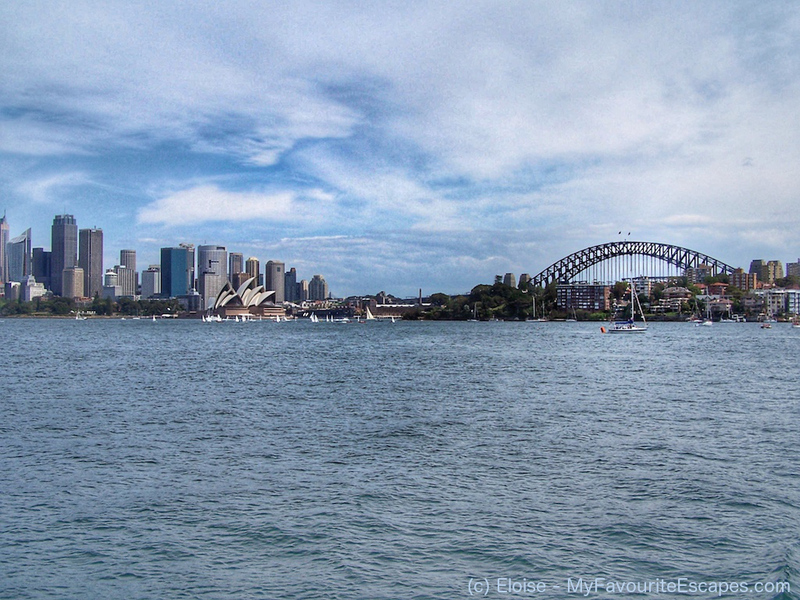 Use this Sydney travel itinerary and make the most of your visit to Sydney. 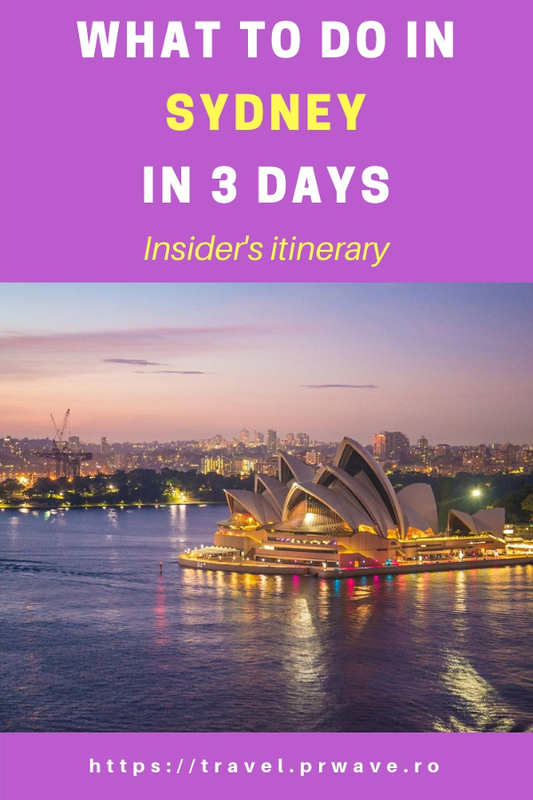 This 3-day in Sydney Australia itinerary is written by Eloise from My Favourite Escapes. 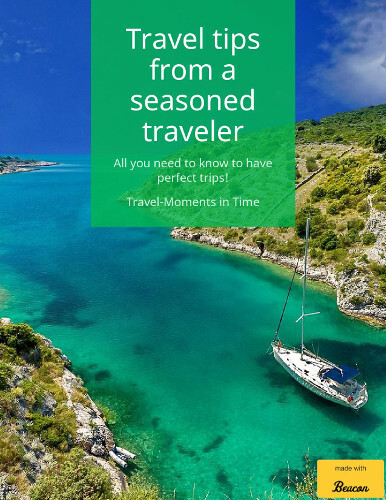 Follow her travels on Facebook and Instagram too.